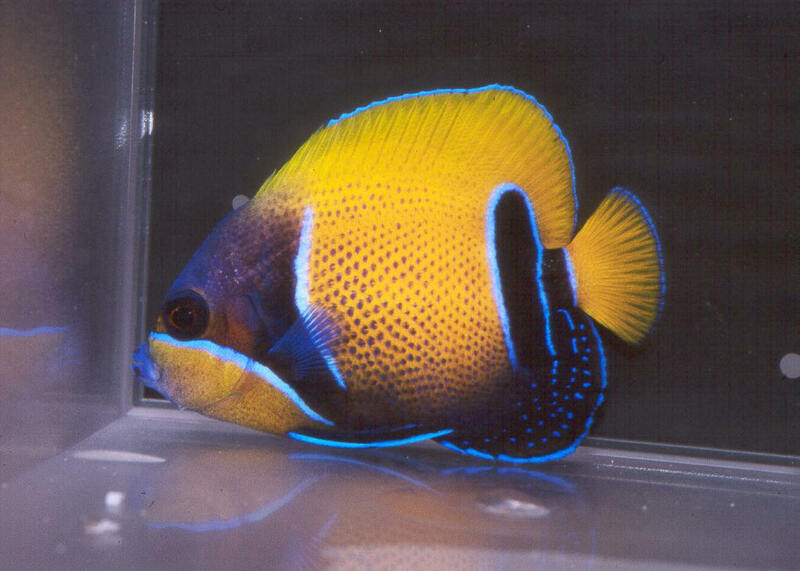 Pomacanthus Euxiphipops navarchus, the Blue-Girdled, Majestic, or Navarchus Angel is easiest to discern when young, with considerable orange color mixed amongst the blue and black of it's dorsal fin. Well caught, transported and cared for Navarchus specimens can prove very hardy and long-lived; most are not. Four inch specimen in captivity. 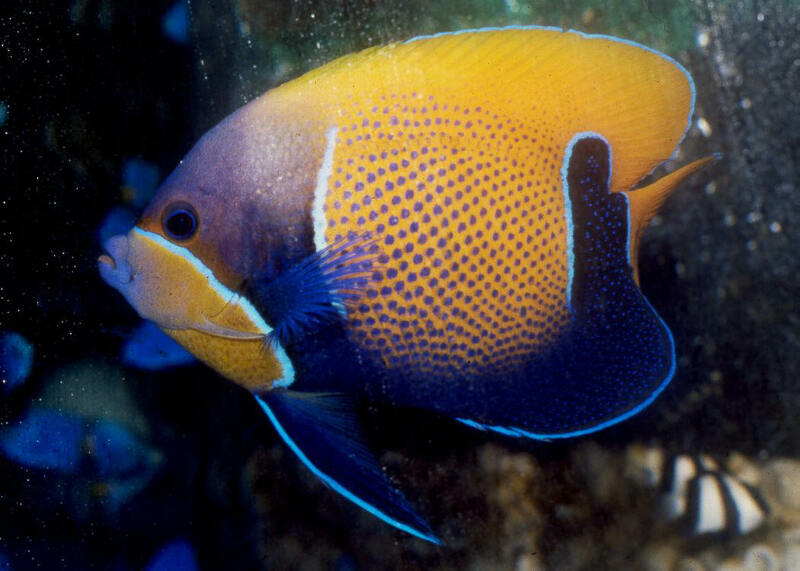 Pomacanthus Euxiphipops navarchus, the Blue-Girdled, Majestic, or Navarchus Angel is easiest to discern when young, with considerable orange color mixed amongst the blue and black of it's dorsal fin. Well caught, transported and cared for Navarchus specimens can prove very hardy and long-lived; most are not. 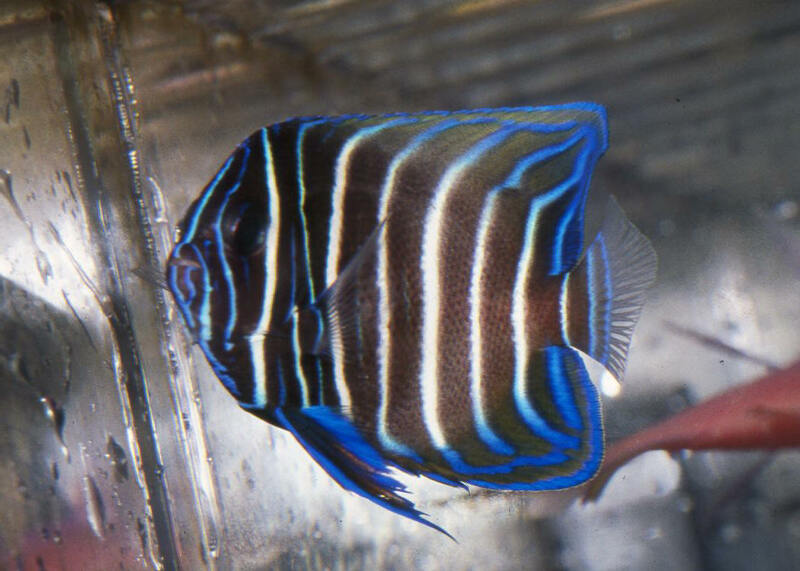 Medium specimen in captivity. 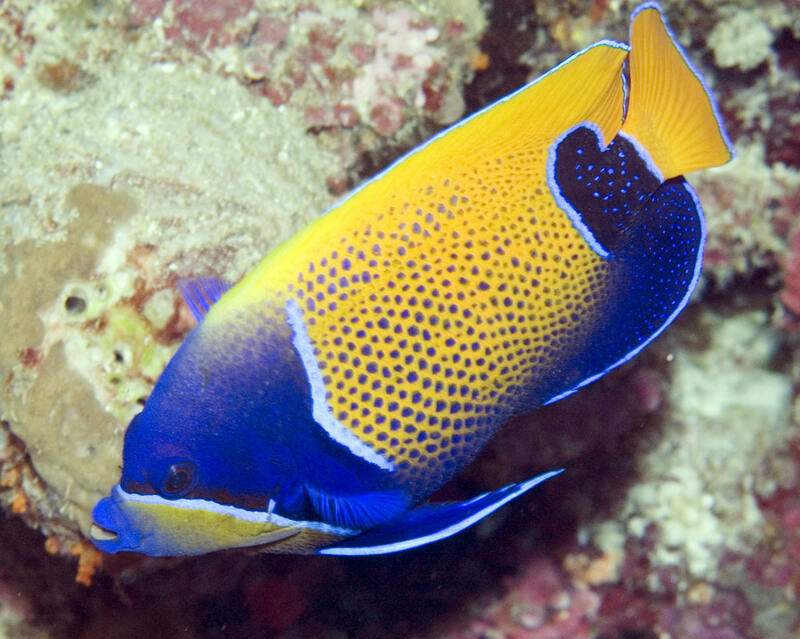 Pomacanthus Euxiphipops navarchus, the Blue-Girdled, Majestic, or Navarchus Angel is easiest to discern when young, with considerable orange color mixed amongst the blue and black of it's dorsal fin. Well caught, transported and cared for Navarchus specimens can prove very hardy and long-lived; most are not. Adult specimen in the wild.